Since I had a lot on my mind before leaving for my month-long adventure in Nepal, I never got around to posting my farewell dinner at Gemini Bistro on the 28th of April. 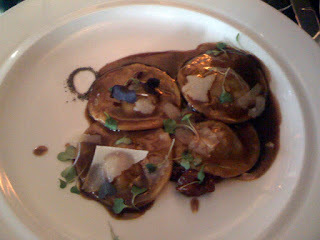 Erica and I wanted to try this neighborhood spot for a long time and their 3-course menu with wine looked appealing. We had a nice dining experience with good food, fast service and a fun atmosphere. I can see how this is a popular spot to have a meal with friends or a place for date night. The décor is inviting and tasteful, yet sophisticated. The space is small enough to feel cozy, but there is plenty of room between tables. The service was first class and knowledgeable. Our first two courses arrived so fast that I thought they were trying to get rid of us, but the pace slowed down and we never felt rushed. We were disappointed that the food did not live up to the rest of the dining experience. Some dishes were nice, but more of them were bland and not overly flavorful. There is plenty of potential and reasons to return and recommend Gemini. I’ve heard brunch is very good, and if I lived down the street I’d probably go back much sooner. The talent is there; maybe they just need a little tune up. 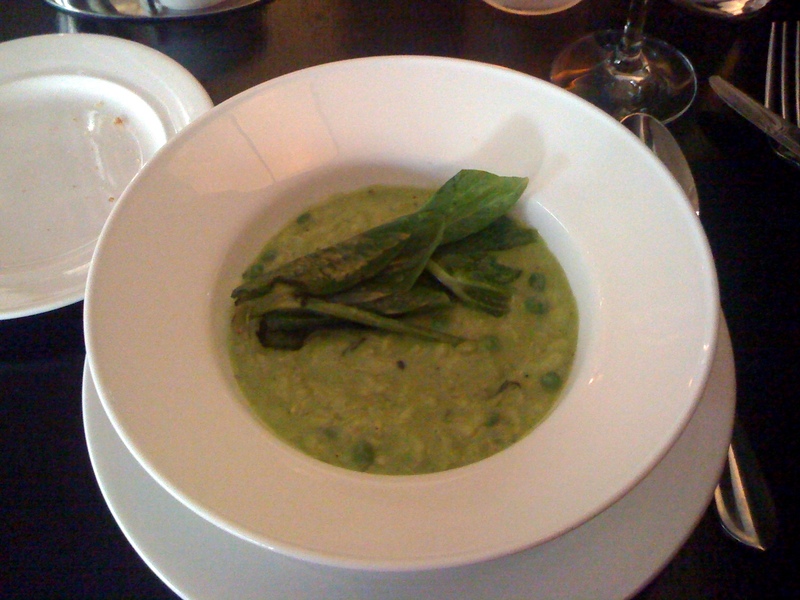 For our meal we started with the pea risotto and tomatoes soup with grilled cheese. I enjoyed my risotto quite a bit, but Erica’s tomato soup was a big letdown. There was not a lot of flavor or substance. They say it is not cream based, which my doctor would appreciate, but they need to do something else to create flavor. Even the grilled cheese didn’t taste better than what we can make at home. My risotto was creamy, cheesy and well made. First course was hit and miss. The main course followed the same pattern. I ordered the handmade ravioli. I was surprised when only 4 pieces showed up, but after finishing the plate I understood the portion size. 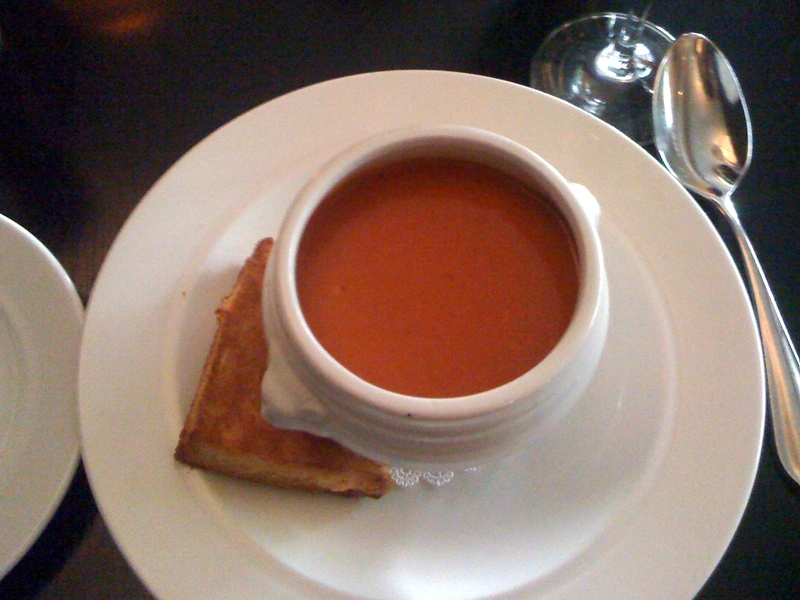 The flavors are very strong and rich, French even. My only complaint is that they were undercooked, making the pasta hard or chewy. I was disappointed because the sauce and ingredients were first rate. Erica ordered the hanger steak and frites. I didn’t have a big piece, but from all accounts it was only ok. She usually can put down a good piece of steak, but when I noticed plenty still on the plate I knew something wasn’t right. By far the best course of the night was our dessert. 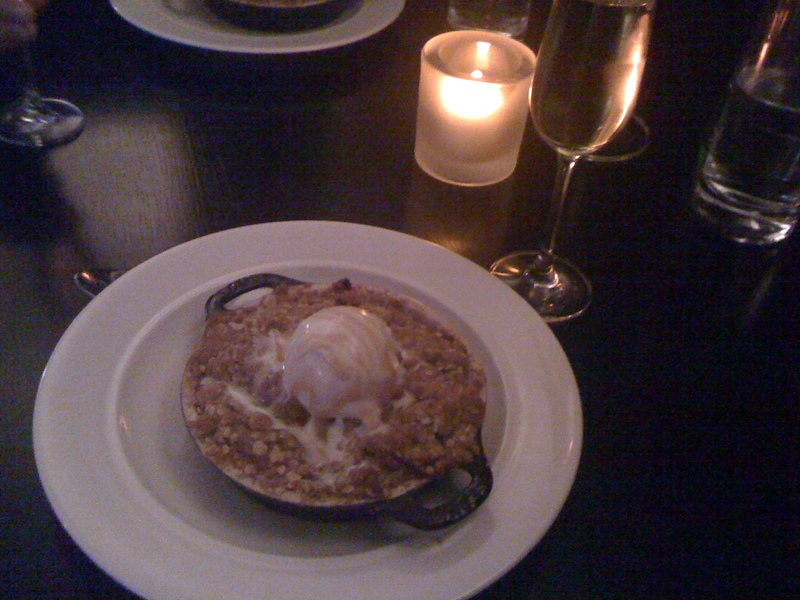 We both ordered the apple crisp a la mode, and it was a good move to get 2. Not much needs to be said, the ice cream was delicious on top of warm apples and crust. A very well made dessert. Not to be forgotten, our 3 wine parings were also very good and we received accurate guidance when asked. Our overall experience rates a 3/5. The value on our 3 course meal with wine was great, our service and ambiance also made for an enjoyable dining experience. The quality of the food is high, but the execution/flavoring did not live up to everything else. I still would recommend checking out Gemini, and I hope to return at some point. 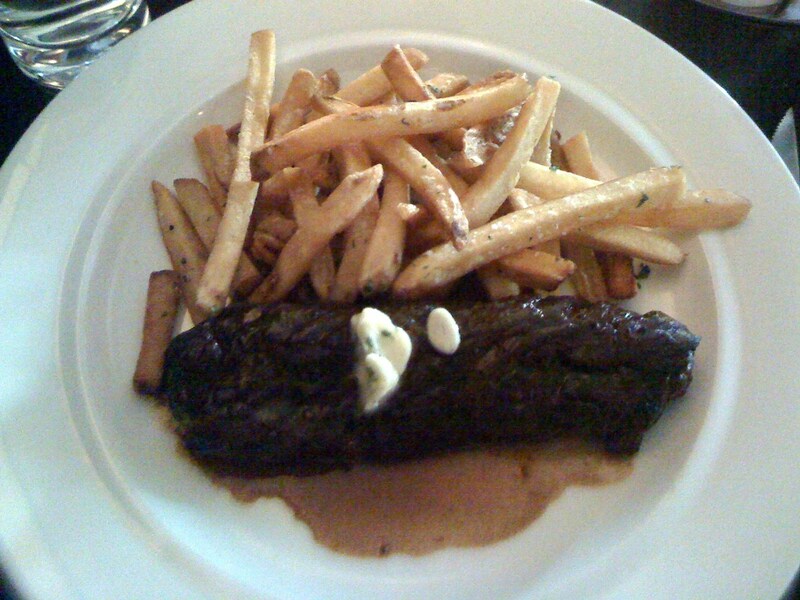 It is definitely a solid choice for good, American bistro fare with friendly neighborhood atmosphere.